At the 2013 Gala for the Quebec cycling federation (FQSC), mountain biker Maghalie Rochette was named Athlete of the Year. Rochette, from St Jerome, who rides for Team PowerWatts North, was also named Mountain Bike Athlete of the Year. The Gala took place over the November 2-3 weekend. 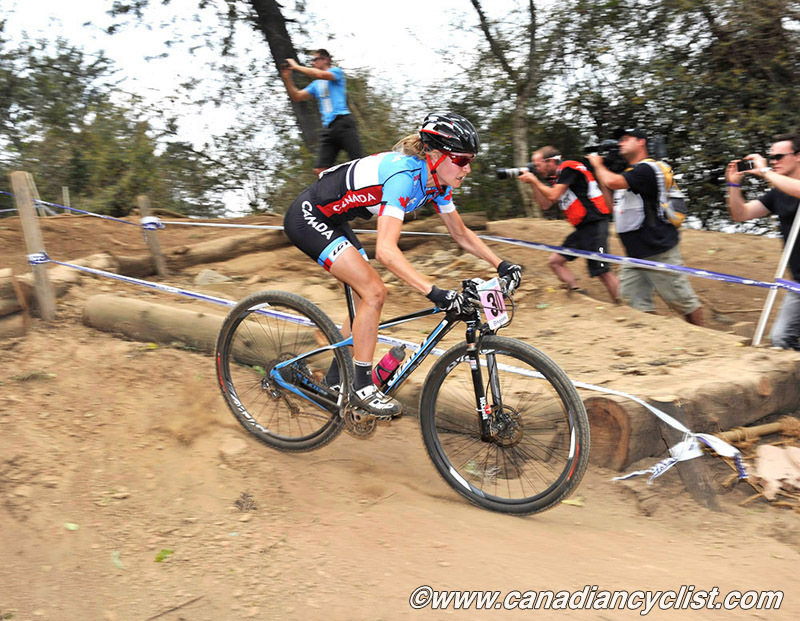 Rochette, who is new to cross-country mountain biking, finished top-ten in the first two Canada Cups of the season and was third at the national championships in the Under-23 category. With these results she was selected to the national team for the world championships, and was the top Canadian finisher, in a superb ninth place for her first Worlds. This brought her to the attention of the Luna Pro Team, with whom she has signed a two year contract. Rochette will now attempt to defend her provincial title in cyclo-cross, before attending the Cyclo-cross National Championships, with the goal of representing Canada at the world championships.